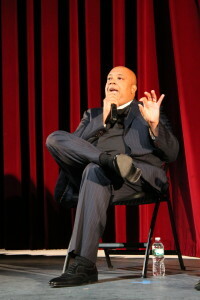 Joseph “Rev Run” Simmons is a pioneering musician, an accomplished author, a fashion mogul, and the star of MTV’s hit reality television show “Run’s House.” Beginning his career as one of the 3 members of the rap phenomenon known as “Run DMC,” Joseph Simmons and his pioneering rap group are often attributed to putting hip hop on the musical map. Run DMC’s collaboration with Aerosmith on the infamous track “Walk This Way,” gave birth to a fusion of rap and hip-hop that has since inspired an entirely new wave of music. If hip-hop had a godfather, that man would likely be Reverend Run. With his trademark Adidas kicks, black sweat-suits, and gold chains, Joseph Simmons became far more than a rapper, an MC, or a lyricist. Moreover he has etched himself into the public as an international icon. His flair for fashion carried over into future ventures, where now he stands as the namesake behind Run Athletics, and has put out the wildly successful icon shoe. Teaming up with his brother Russell, CEO of Phat Farm, Joseph Simmons has continued to remain a key player in the apparel industry. With the presence of God in his life, Joseph Simmons has become a man of faith and an inspiration for his and his children’s generations. The man once known as the super-star rapper called “Run” found a further, deeper calling as a member of Zoe Ministries. He re-emerged to the world as “Reverend Run” and has since shared his ministry with thousands of fans, both old and new. His book, “Words of Wisdom” which was released in 2006, shares his witty, thoughtful, and inspirational views with the world.One quote from this popular publication reads “ Your talents are a gift from God for you to share with others. We are here to serve each other. No more, no less.” His words ring true, particularly as a reflection of his own life and accomplishments. Never straying too far from his musical roots, rev Run released his solo album “Distortion” in 2005. However, it should be noted that samples of Run DMC’s plethora of hits were- and continue to be- heard on radios worldwide, as new artists find ways to incorporate that tried and true old school sound into their new tracks. In January of 2008 Joseph Simmons is embarking on a national tour with his friend and collaborator Kid Rock. This is his first tour in quite some time, and Rev Run is eagerly anticipating performing again for the masses. 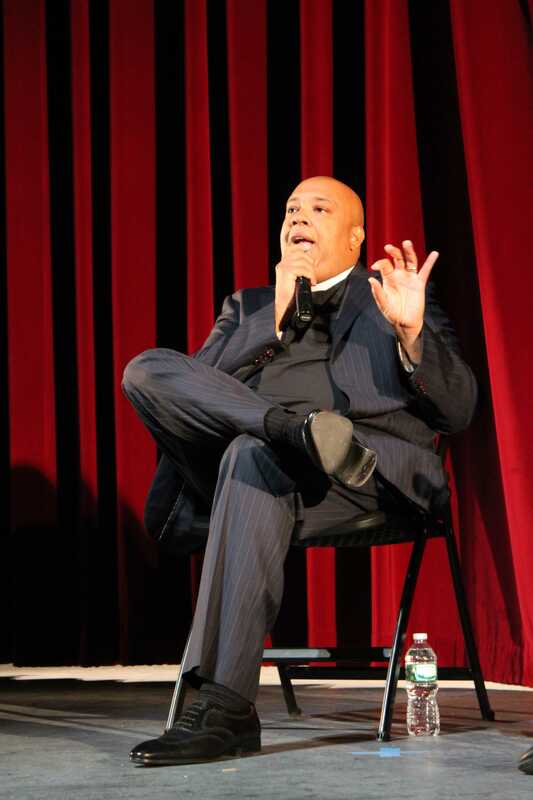 What Rev Run is most famous for this day and age, is for being America’s favorite father, as he and his family broadcast their reality show “Runs House” on MTV. It is for this notoriety that Joseph Simmons is most proud. As a devoted husband and loving father to six beautiful children, he has really found his bliss. Using the media of television, he is able to send out a message to fans and disciples that family is what life is really about. With laughter, patience, honesty, and love Joseph and his wife Justine give their viewers a glimpse of their lives, while also setting a positive example as to how to maintain a happy and healthy family. Due to the success of the show, Joseph and Justine signed a colossal deal to release a book in 2008 entitled “Take Back Your Family” which will put on paper their tips for successful parenting. In 2008 Joseph and Justine welcomed the addition of their beautiful daughter Miley. Miley’s adoption has brought the Simmons family more joy then they had even imagined possible. Baby Miley is sure to make an appearance in Season 5 of Run’s House, which is set to go into production in the spring of 2008. Reverend Run looks forward to continuing to touch people worldwide through his written works, music, fashion, and television endeavors. Joseph Simmons, the young man from Hollis, Queens with big dreams and even bigger drive and talent, has made his mark on the world as one of the most influential men in American pop culture. For this, he is grateful and blessed. “King of Rock” is released and certified Gold. By early 1997 it has been certified Platinum.